We are holding our 2017 series of ‘All You Want to Know about Local Authority Housing Finance’ from March to September. This series of seminars is designed to give an introduction and overview to council housing finance and is fully up to date with all developments. 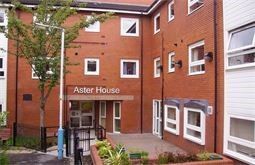 This seminar is designed for people who are not experts in council housing finance, but who need to understand the basics and achieve an overview of what is going on. It is suitable for councillors, housing managers, tenant representatives and finance staff who have limited experience of council housing finance and others who realise that an understanding of council housing finance can place them at an advantage! Do you think that a working knowledge of council housing finance would put you and your colleagues in a position of advantage? What is going on in the world of council housing finance? What are the financial opportunities and threats for council housing? The session is fully up to date and refers to recent government policies on annual reductions in social and affordable rents of 1%, housing benefit and welfare reform, the Welfare Reform and Work Act, the Housing and Planning Act and the implications of 'Brexit' and the minority government. The sessionis accompanied by a very useful 100 page book that is designed for reference after the session entitled: "All You Want To Know About Local Authority Housing Finance 2017"
To book now please click the 'book now' button below. If you wish to pay by credit or debit card please select 'pay by PayPal' among the payment options.